Christy Salmon initially discovered Pilates when she lived in a suburb of Chicago. With her background in dance, Pilates offered a core based methodology which was in sync with her modern dance Martha Graham training and philosophy. The exercise/dance fusion brought to life her inner child as a dancer, and connected it with the strength based core principles of STOTT Pilates. She specializes in STOTT Pilates mat and reformer work, but also loves working with the ballet barre, roller, and poles in order to help her clients achieve postural benefits in balance, flexibility, stability, and control. She is committed to actualizing her students’ potential in the workout, emphasizing good body mechanics, breath, method principles, form, and technique. She has a passion for Pilates and loves sharing it with her clients! Christy graduated with a BFA in dance from Southern Methodist University and has been teaching Pilates for over 12 years. 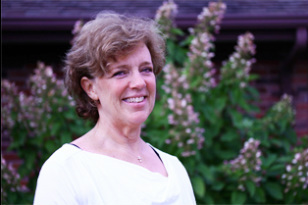 She is a nationally recognized certified STOTT Pilates Trainer/Instructor. She has a passion for the Pilates method and loves sharing it with her clients!